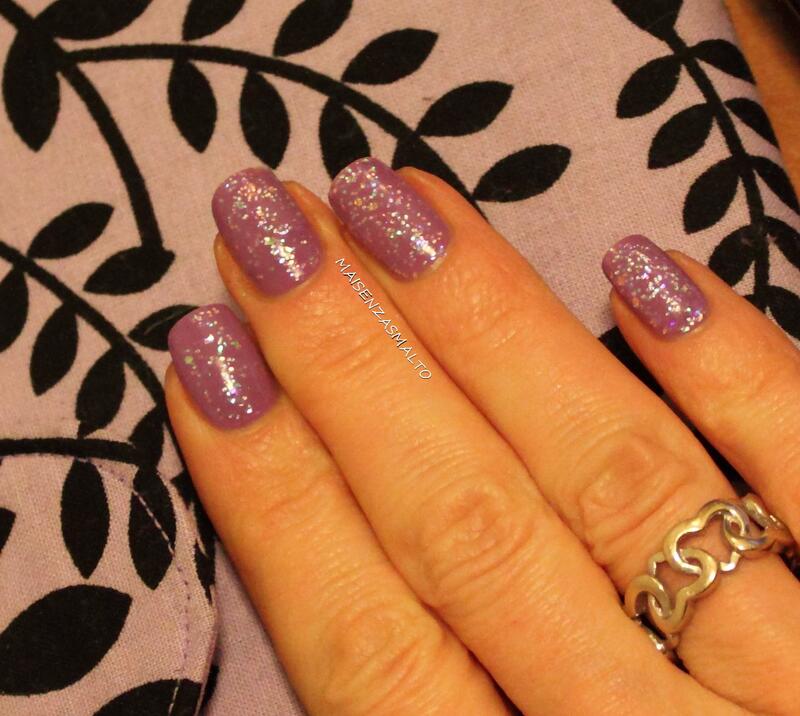 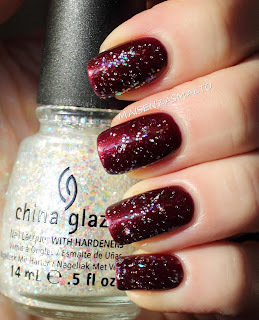 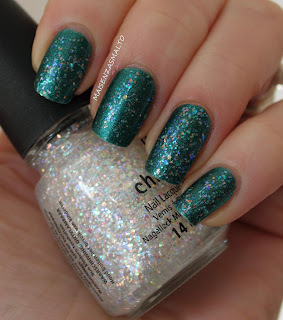 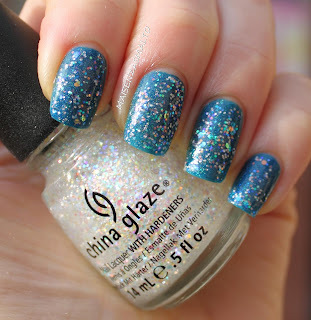 Snow Globe is a glitter top coat included in last Winter China Glaze “Let it Snow” collection, actually a re-release, as it was first launched in 2009 with Specialty collection. It's hard to explain how it looks: technically is composed by microglitters and big hexagonal glitters, both iridescent (they look pink, yellow, light blue...) but the final effect changes very much according to the base it is applied on. 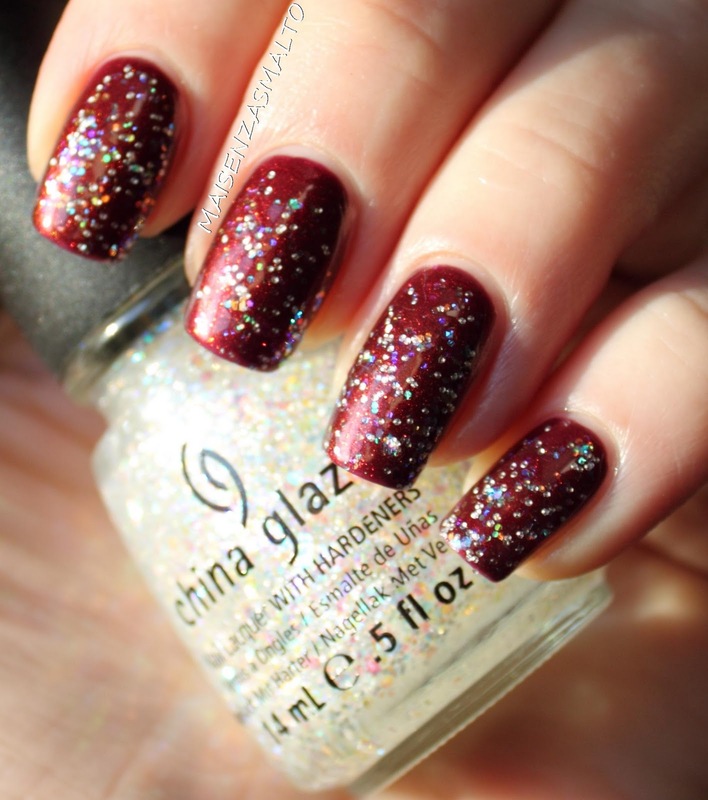 During Christmas holidays I played with it while swatching and tried it on several colors but my favourite is Snow Globe/dark base combo, I used it as my Christmas'Eve mani (I took a picture with my cookbook as background – I was trying to prepare Crespelle that day). I really love those sparkles and the versatility of the polish, for instance Cristina from Pee Before Polish tried it just on tips, very nice! 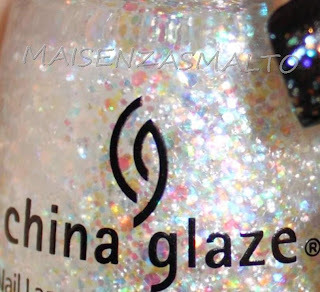 Snow Globe è uscito quest'inverno come parte della collezione Let it Snow, anche se in realtà si tratta della riedizione di un colore lanciato nel 2009 con la Specialty Collection. 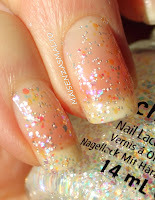 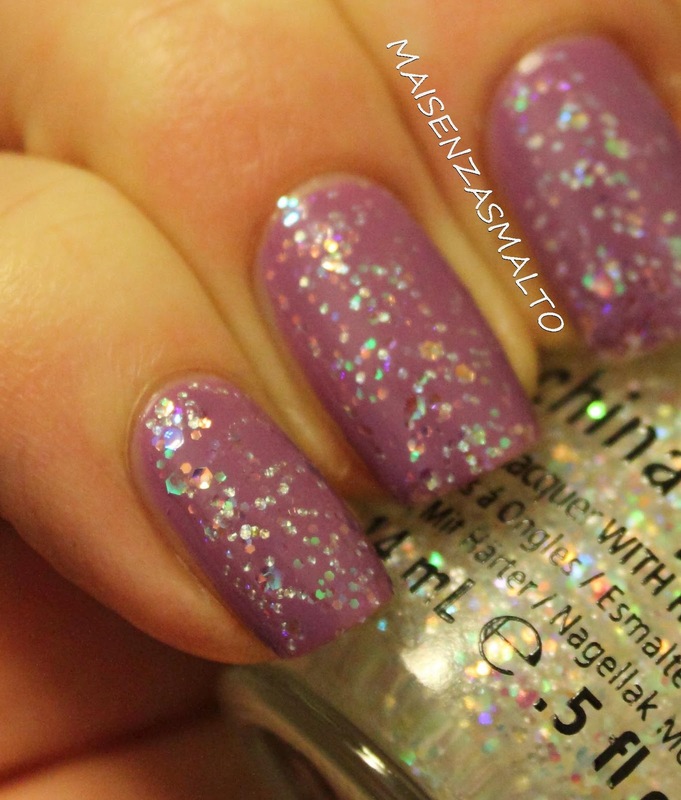 E' un top coat pieno di microglitter e glitter esagonali cangianti (si vedono rosa, gialli, celesti...). E' stupefacente come l'effetto cambi a seconda della base su cui viene applicato: durante le vacanze natalizie l'ho provato su un po' di colori e sicuramente il mio abbinamento preferito è quello con la base scurissima: mi è piaciuto un sacco e l'ho tenuto come manicure per la vigilia (ho anche fatto una foto “a tema” usando come sfondo il libro di ricette che stavo disperatamente consultando, quella mattina l'ho passata spadellando crespelle**)! 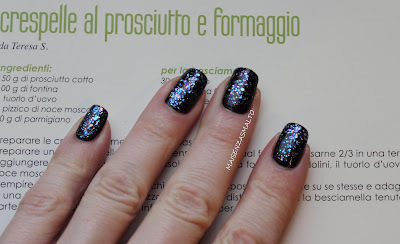 Insomma uno smalto bellissimo e molto versatile, mi è piaciuto molto anche l'utilizzo “sulle punte” fatto da Cristina di Pee Before Polish.